This was a very pleasant surprise. 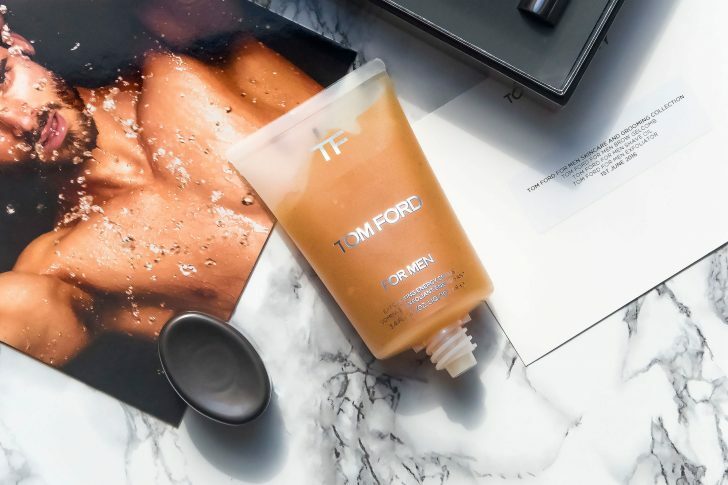 I had the TOM FORD Men Skincare and Grooming exclusive when it first launched back in 2013. Since then there has been the addition of the Beard Oils but these are the first releases that are suitable for everyone. The new additions to the Skincare and Grooming collection are: TOM FORD for Men Brow Gelcomb; the TOM FORD for Men Shave Oil and finally the TOM FORD for Men Exfoliator. The collection additions will be available online and in-store from 1st June 2016. The existing TOM FORD Skincare and Grooming collection is available here (currently 10% off) from John Lewis. 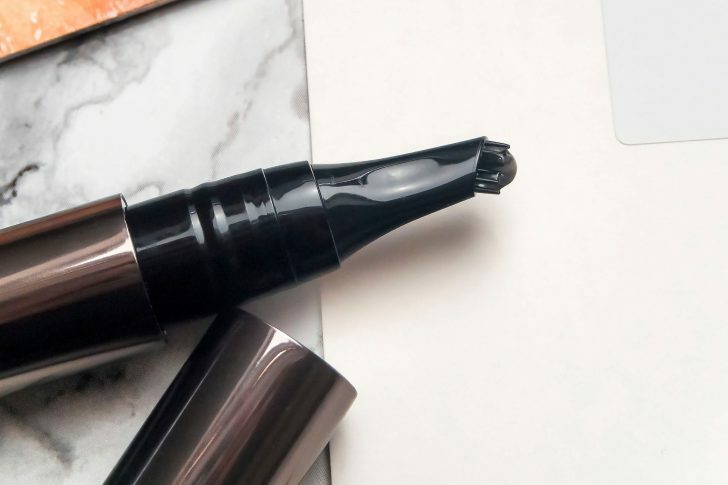 This is a very different take on the classic brow gel which are usually very simple, clear gels on the end of a mascara wand. 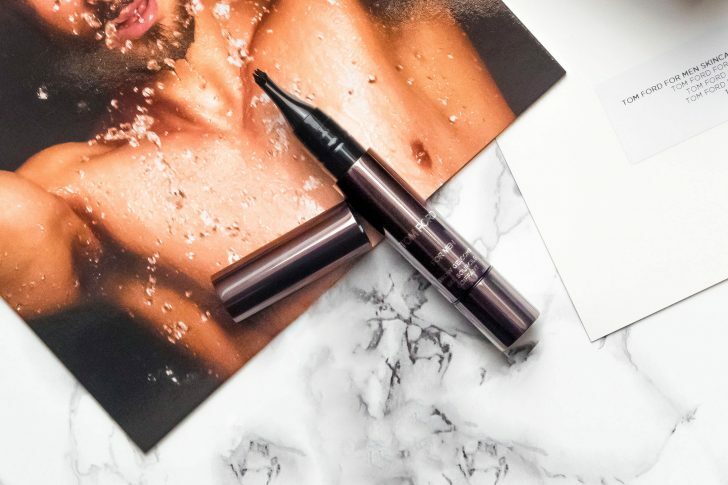 The TOM FORD for Men Brow Gelcomb is quite a thick, blackened gel that not only holds brows in place, but volumises and thickens them whilst making them darker and a little more defined. It’s not black-black, but definitely darkening. 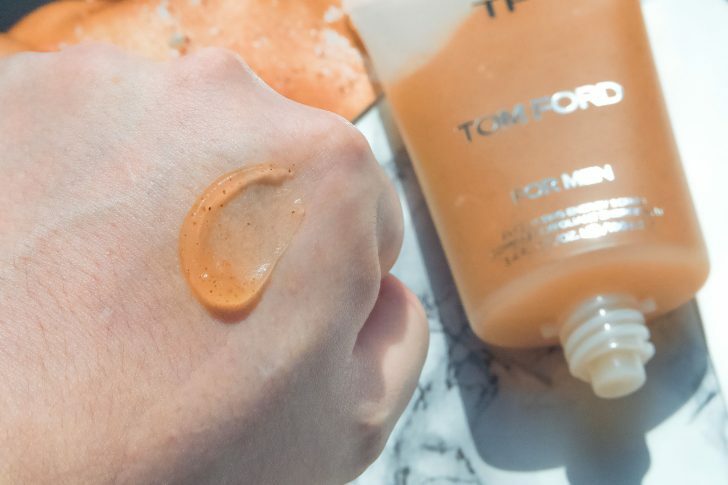 I’ll be honest, and this isn’t specific to TOM FORD at all, but I’m not the biggest brow-gel fan for me personally – when your brows are as ginormous as mine, you can always feel it and the last thing they need is definition. However, if you’re wanting a to make brows more defined without resorting to makeup; this is your ticket! Below is the right with brow gel and the left without – you can definitely see a difference. This is very different for a shave oil. It starts out of the tube almost like a gel which immediately melts into a non-greasy oil that gets into every nook and cranny of the shaving area. My razor glides over it very smoothly with a touch of water and being 100% transparent means you can see everything you’re doing. It has that beautiful blend of essential oils and fragrance used in all the TOM FORD grooming products. This smells unbelievable. I love a good exfoliator and this one has clearly been well researched in both the formulation as well as the texture us guys are looking for. 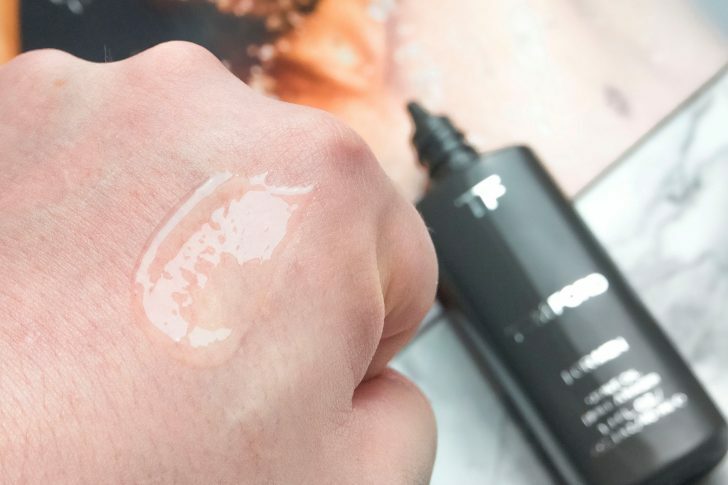 It is a slightly orange-tinged gel that doesn’t foam at all but allows you to easily work it into the skin. There are different sized exfoliating grains that go right down to a very sandy texture. This is a powerful scrub! It can be applied to the skin dry (be careful) damp or wet; it’s really designed to suit your grooming rituals and habits rather than having to adapt to theirs. Once again, the TOM FORD Skincare and Grooming collection additions will be available online and in-store from 1st June 2016. 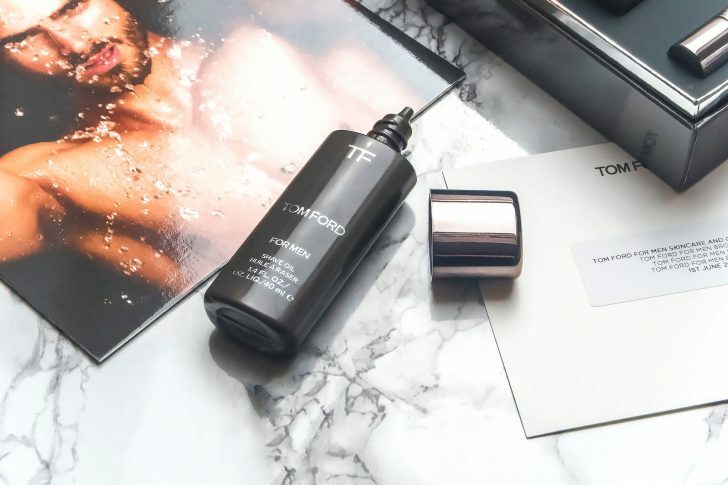 The existing TOM FORD Skincare and Grooming collection is available here from John Lewis currently with 10% off. This article first appeared on MANFACE written by Thom Watson. It was published on Saturday 30th April 2016 and was last updated on Monday 3rd April 2017 at 1:01pm. It's categorised under Exfoliate, Makeup, Shave, Special Care, TOM FORD where you'll find more related content. These look interesting – the scrub being most enticing to me personally! Love the rundown! @inhautepursuit:disqus The scrub is definitely my favourite out of the three and for me was the main missing element of the original range. Have you tried any of the others? I can’t be w/o the bronzing gel and *really* like the mud mask but I haven’t tried much else. Non-skincare, the brightening illuminating undereye thing is my holy grail and much cheaper in EU so I stock up in duty free. 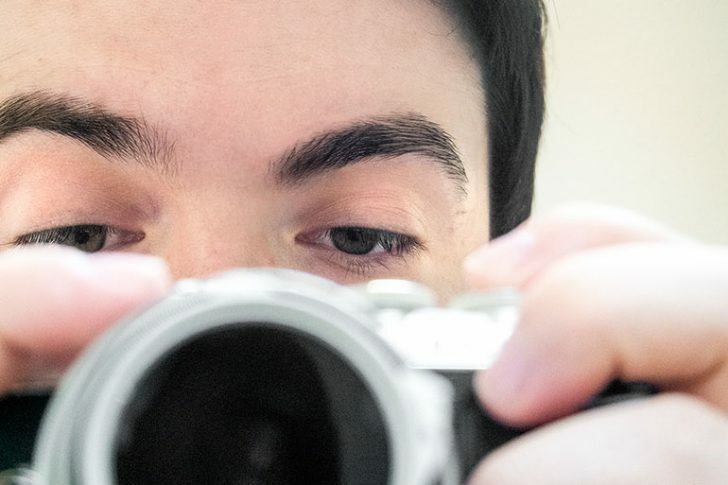 Is the eye product amazing? Thanks!